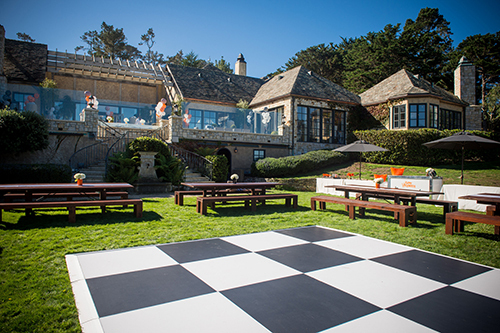 Chic Event Rentals offers many flooring options for your event taking place on the Monterey Peninsula. 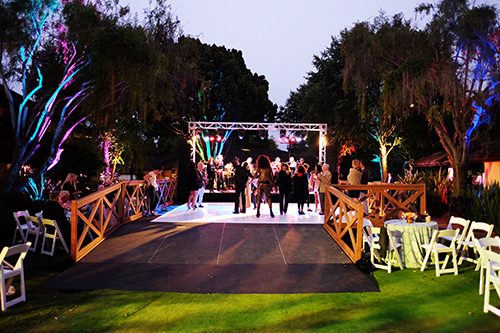 From dance floors and stages to lie flat flooring and elevated engineering flooring, Chic Events will create the right solutions for your wedding or event. We also offer many floor coverings such as astro turf, carpet, sisal, laminate, and hardwood floor. Call us today at (831) 375-1055 to speak with one of our flooring specialists and find out about adding flooring to your upcoming weddings and events! Staging is used for many purposes in weddings and special events. The most popular uses include elevating a guest speaker, a band, or DJ to create a focal point for your guests by increasing the subject’s height so the entire audience will have clear visibility. Available in 4’x8’ pieces to create limitless sizes. Available in a variety of heights as low as 6" and as high as needed (engineering and permit required over 30"). Engineered to CBC2016 requirements at 150lbs per square foot. Stairs available for stages 16" and higher. Available in Oak Wood, Cherry Wood, Black, White, or Black & White, we have the dance floor that will meet the aesthetics of your wedding or special event. When calculating the dance floor size required for your specific wedding or event, a general rule of thumb is to estimate that roughly 33% of the total guest count will be dancing at any given time. Due to this, you will need a dance floor large enough to accommodate 33% of the guests. Once 33% of total guest count is calculated, multiply that number by 4 sq. ft., which is the space a typical dancer will require. For example, if you are having (100) guests attend your wedding or event, you will only need a dance floor for about (33) guests since only (33) guests will be dancing at any given time. Therefore, you will need 33 x 4 sq ft = 132 sq feet of dance floor space. 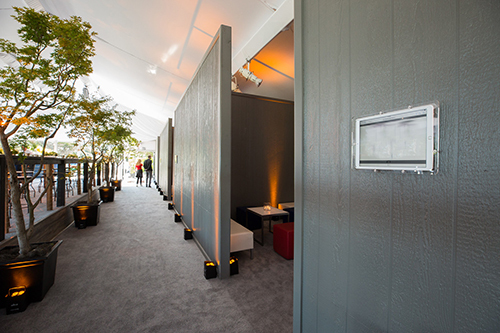 With the available dance floor sizes, it seems a 12’ x 12’ dance floor would be ideal for this guest count. 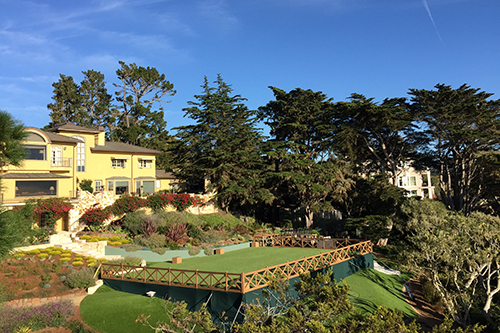 Lie flat flooring is the perfect solution to adding a floor on top of dirt, grass, bark, sand or any somewhat level surface you may not want your guests walking on. Lie flat flooring is also ideal for solid surfaces where puddling may occur on rainy days, such as stone, concrete, or asphalt. Available in 4’x4’ pieces to create limitless sizes. 3" thick, dark grey resin material. Has water slots allowing water that spills on the floor to go right through. Elevated flooring is used in areas where a level surface is needed due to a very uneven or sloped area. Our engineered, elevated flooring system is known for its strength, versatility and durability. Due to this flooring system being completely level, the ability to use any floor covering is possible (please see available floor coverings listed below). 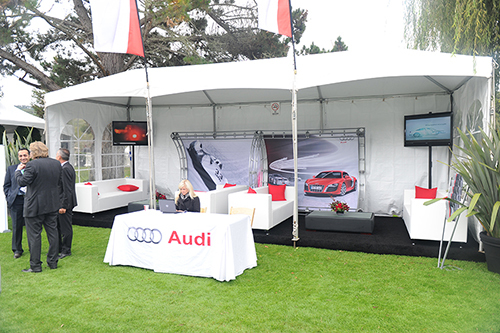 Available in 4’ x 8’ portable platforms to create limitless sizes. In most cases, a floor covering is used on top of the flooring system for aesthetic purposes. We provide a large selection of floor coverings that can be used to cover existing floor and grounds or can be added to one of our flooring systems. The type of floor covering we are able to use will depend on the floor below and the specific venue.